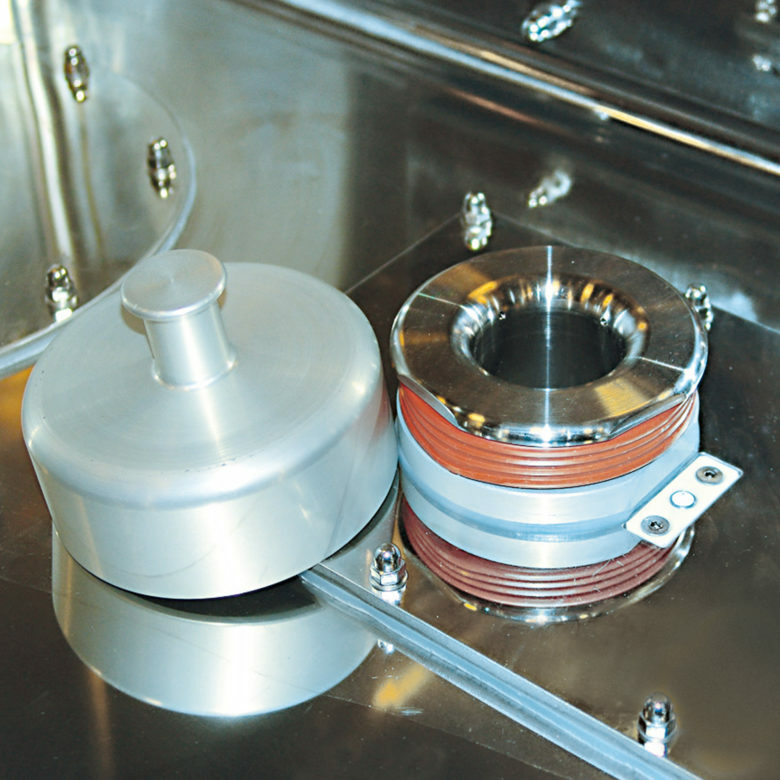 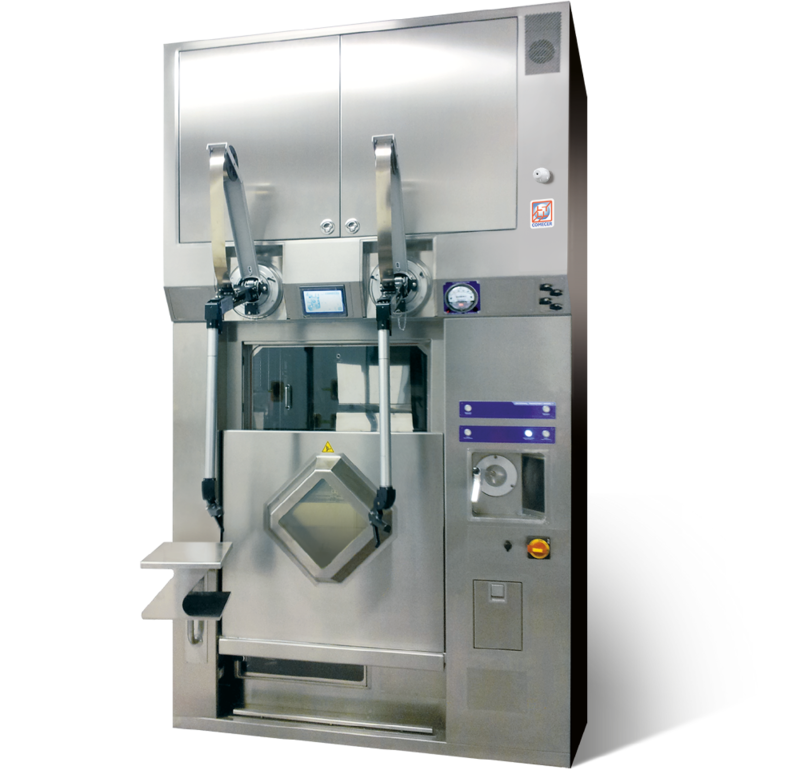 The series of MIP-LAF hot cells is specially designed to house various dispensing system and radiochemistry modules. The MIP-LAF shielded isolator is provided with laminar flow area for aseptic operation in compliance with cGMP. 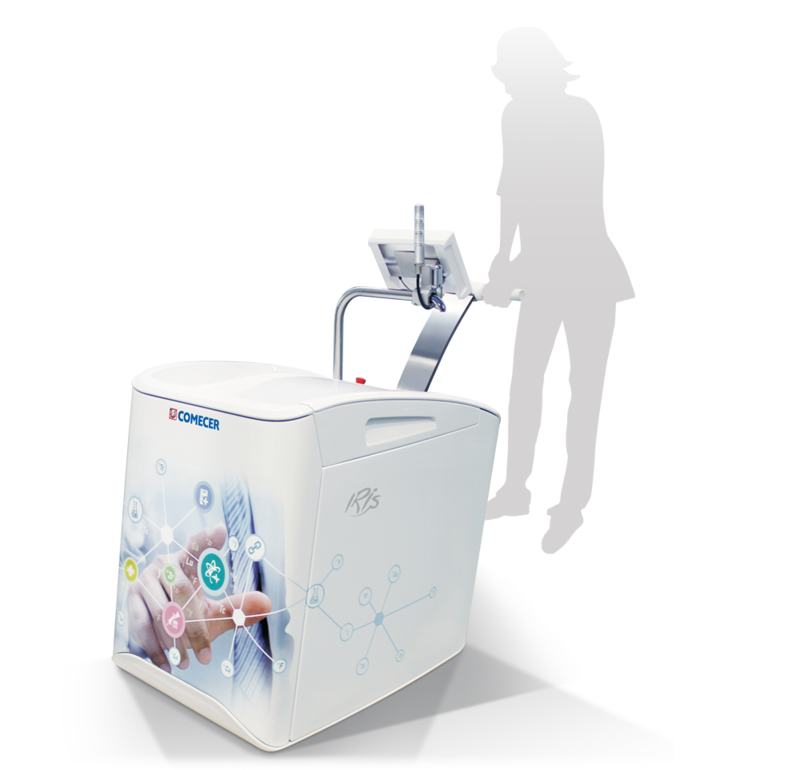 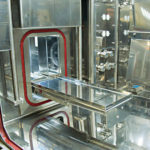 The hot cell can be provided with several accessories such as the possibility of installing several models of telemanipulator, lateral autoclave and shielded or not shielded pre-chamber. The cell is shielded on all sides with 75 mm thick lead. 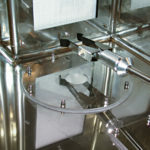 Shielded door with lead glass window. 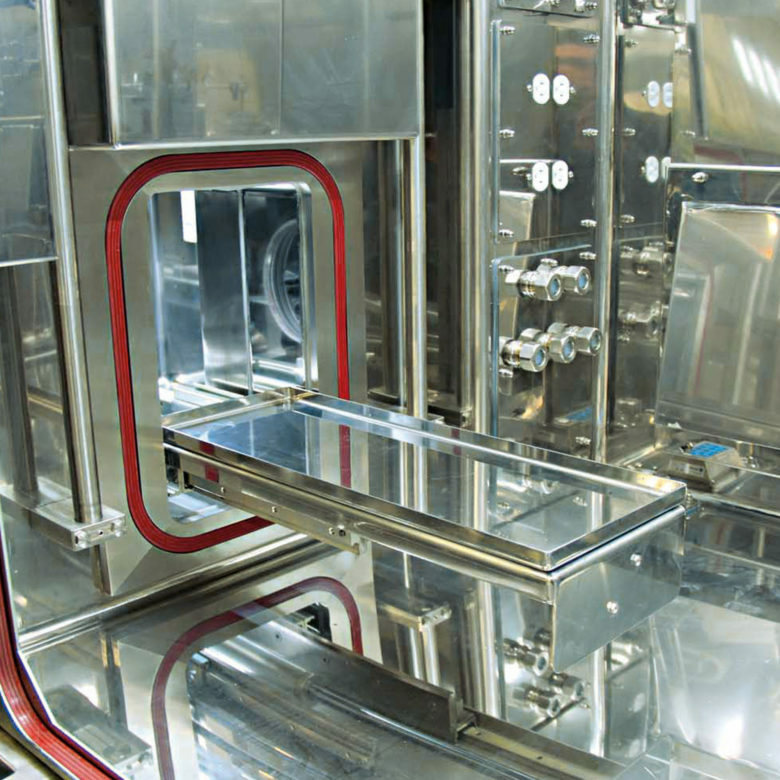 The working area is made of AISI 316L stainless steel with Mirror-Bright surface finishing. 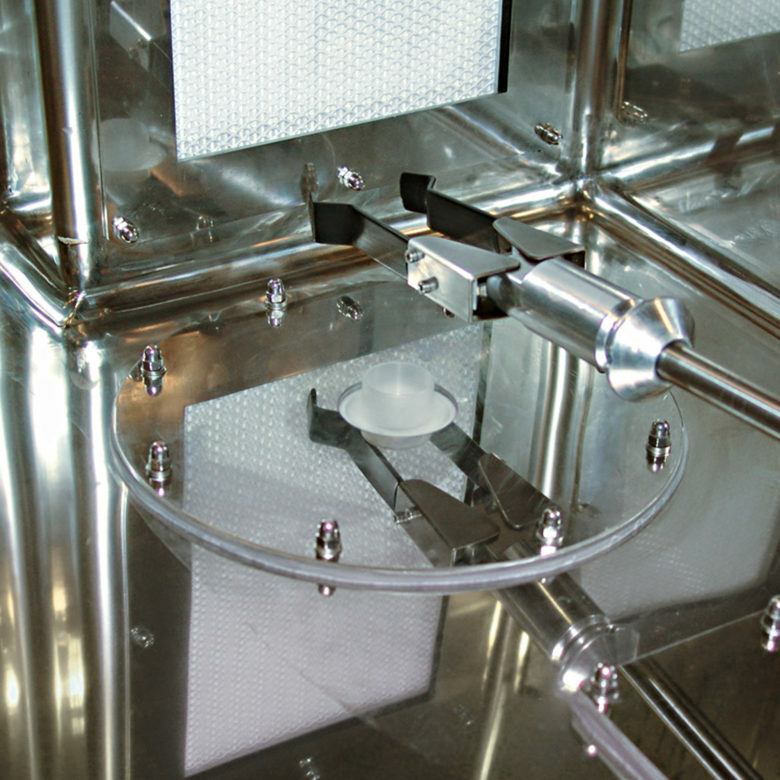 Laminar flow and internal ventilation kept in continuous negative pressure. 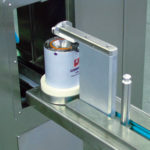 Perfect door closing is ensured by a system of inflatable gaskets placed around the door’s perimeter. 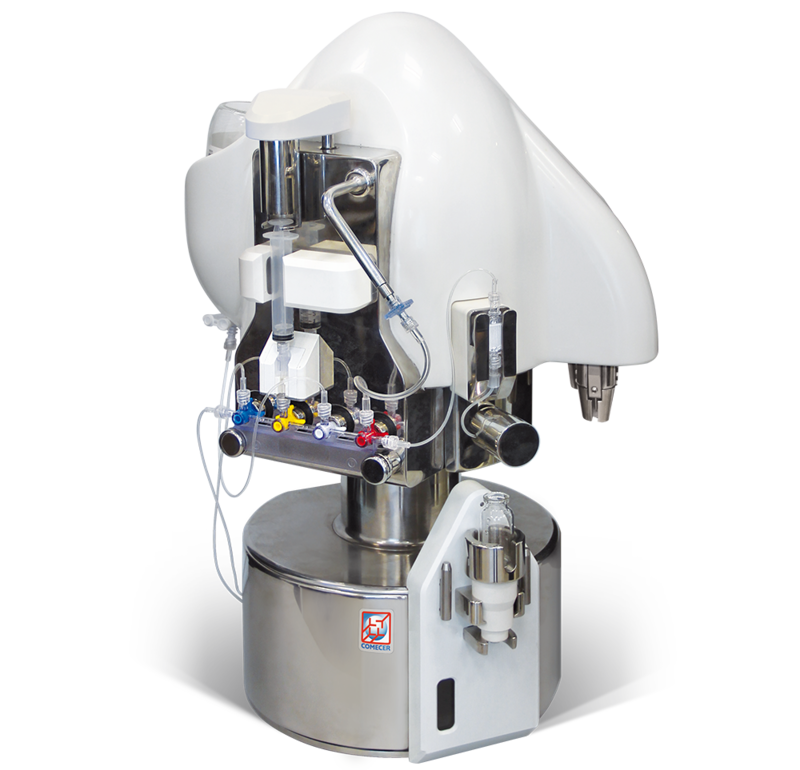 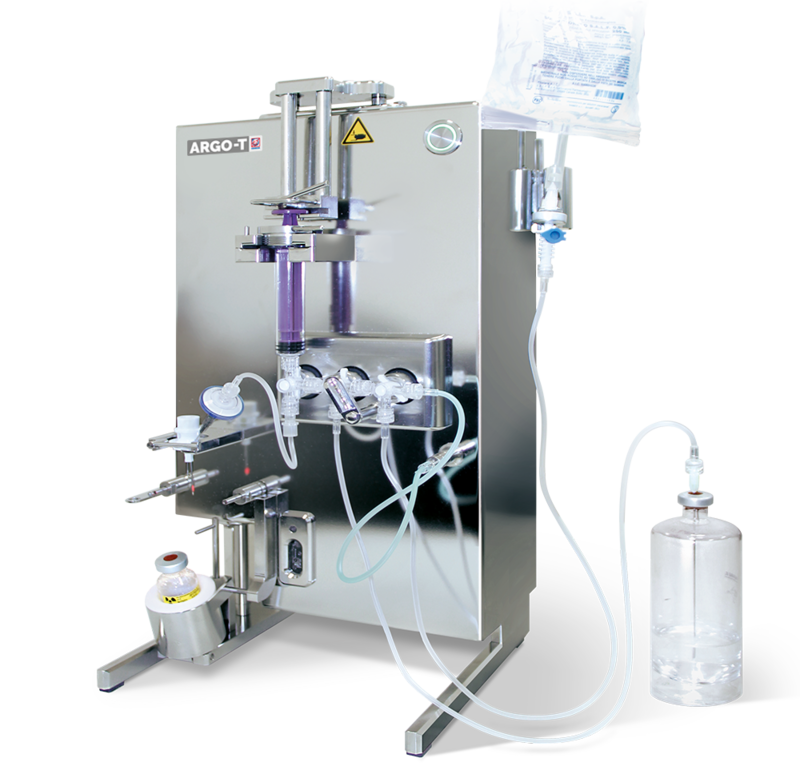 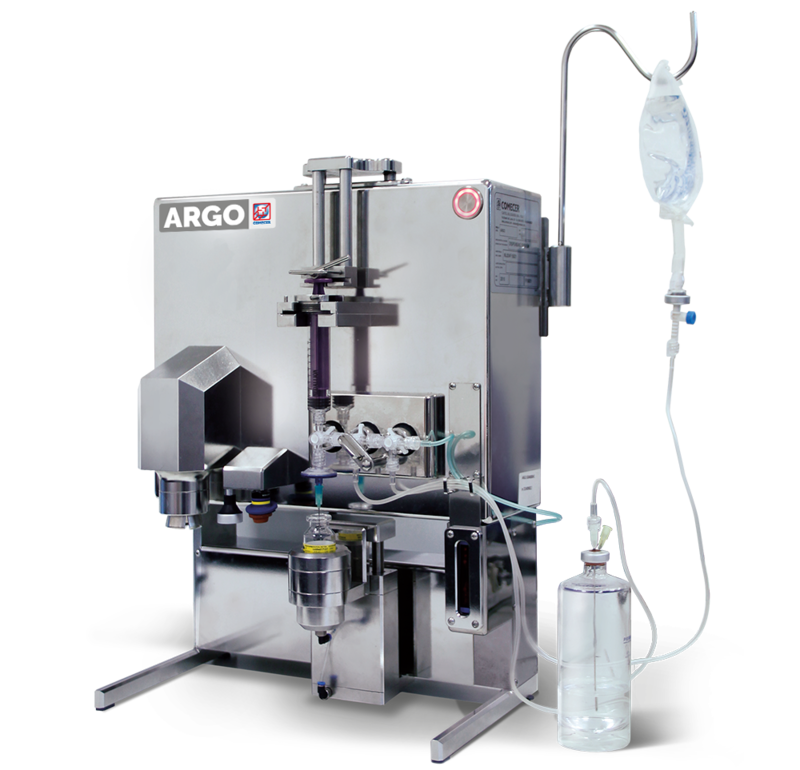 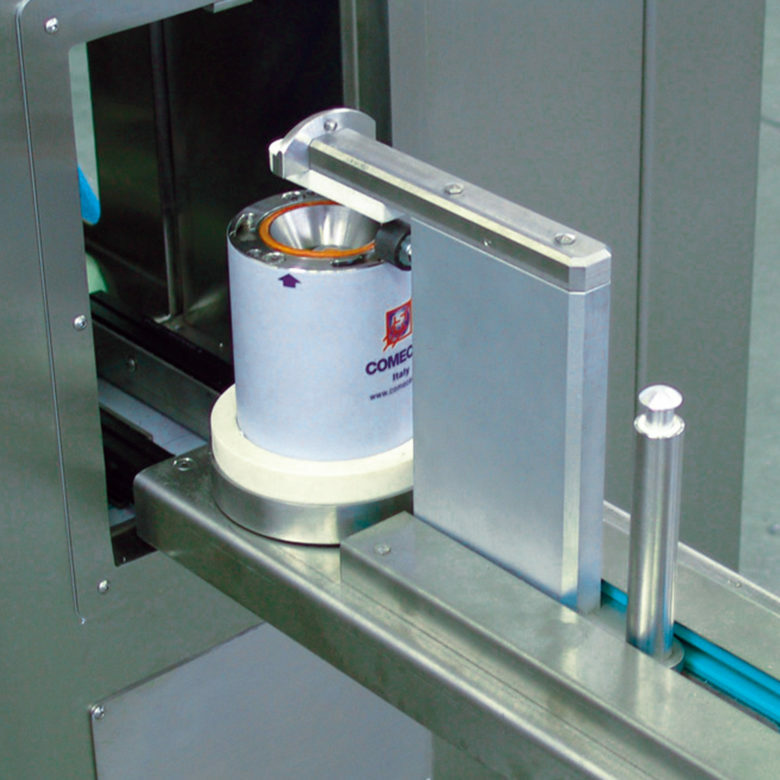 The MIP-LAF cell is equipped with Comecer Drawing System, allowing the extraction of the vial without opening the cell, ensuring safe conditions for the operator, and with a shielded waste compartment. 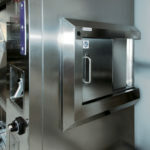 The cell’s standard equipment also includes a technical lower compartment with electrical sockets, a manual tele-plier for moving the objects from outside, a shielded ion chamber compartment, connected with the working area, where the isotope vials can be calibrated using a pneumatic elevator.